External panels and doors are in green or blue glass, veneered in natural ash or pine stained in grey. Legs in solid natural ash or pine stained in grey. Interior shelves in green or blue glass. Steel tubular painted (beige or dark grey) internal structure. 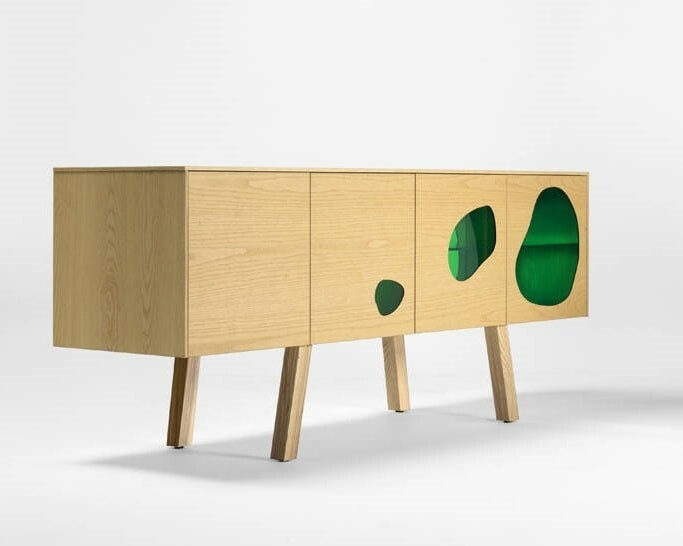 BD Barcelona presented the first piece of furniture for a Spanish company, authored by Fernando and Humberto Campana at last year’s Salone del Mobile in Milan. 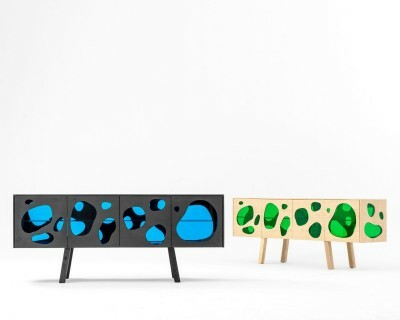 It’s a design inspired in an aquarium carrying their special artistical accent. The Brazilian designers like to integrate artisanal processes into industrial production to create hybrids using different materials. Wood and glass in this case. One warm and the other cold. The immateriality of one combined with the physical presence of the other. This furniture project created for BD presents this mixture, colour and creative chaos - so characteristic in works by the Campana brothers. The success for this has encouraged us to develop a second version – Aquario II – which carries the same format as the first, but developed with more restraint and distinct functionality. Its half display and half cabinet. 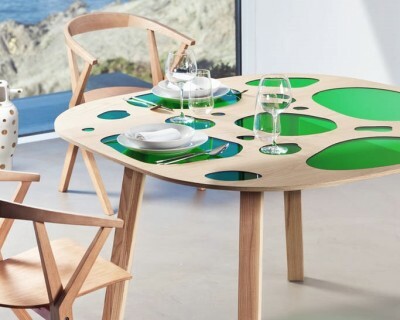 Available in two finishings and colours, natural ash wood with green glass or stained grey pine wood with blue glass. Launched in 2017. Since 1983, the brothers Fernando (born 1961) and Humberto (born 1953) Campana have been solidly building their career, achieving both national and international recognition. Their work incorporates the idea of transformation and reinvention. Giving preciousness to poor, day-to-day or common materials carries not only the creativity in their design but also very Brazilian characteristics - the colors, the mixtures, the creative chaos, the triumph of simple solutions. 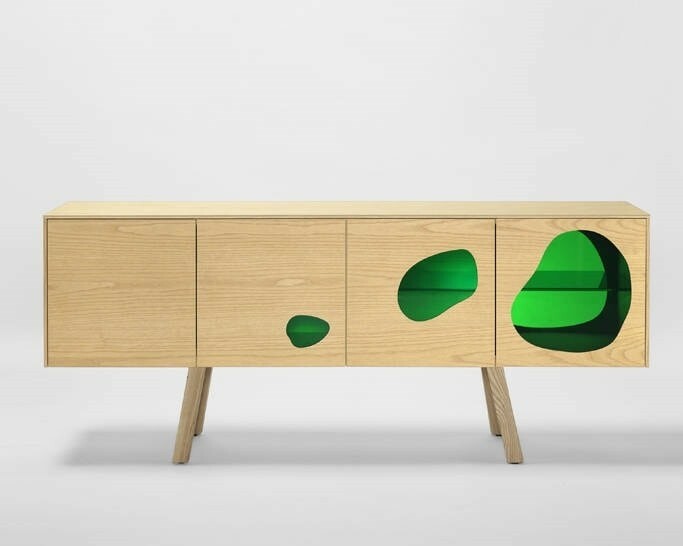 Based in Sao Paulo, Estudio Campana is constantly investigating new possibilities in furniture making. It creates bridges and dialogues where the exchange of information is also a source of inspiration. Working in partnership with communities, factories and industries keeps the Estudio Campan repertoire fresh.